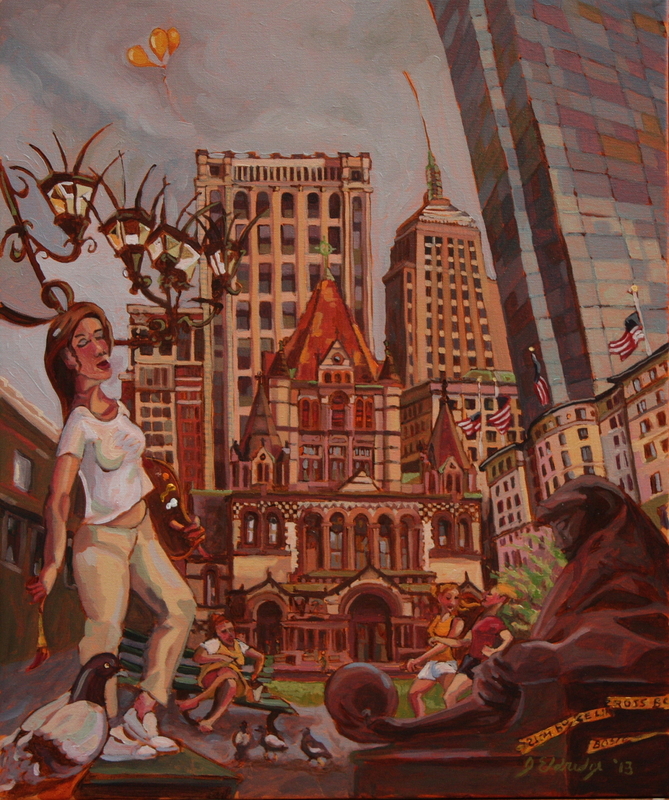 I had intended to paint this scene "en Plein Air" from the steps of the Boston Public Library in late June 2013 for the Copley Society's Fresh Paint event. Two weeks before the marathon bombings took place right around the corner. This part of the city reopened a few days before the event so I went to the location I planned upon, however the feeling of a city taking it's first deep breath in a while certainly changed the composition of this piece.